Simply put, prayer is a conversation with God. God wants us to speak from our hearts and express our thoughts to Him. Prayer is a good way to focus on God and communicate with Him. But praying is a problem for many people. Perhaps they don’t know how to pray or they can’t think of what to say. Or maybe they go through the motions of prayer, only to be left wondering, “Did God really hear me? 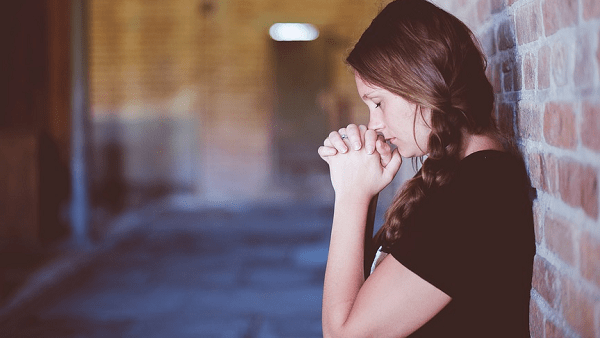 Does He even care?” The promise of Philippians 4:6-7 is clear: if we are faithful to turn worry into prayer, God will protect our hearts from fretting. We often approach God as if he were Santa Claus, with a list of wants we hope He will give us. If it’s not outright demands, then it’s bargaining or negotiating with Him to get what we want. However, God is not a magic genie that grants your every wish. So don’t expect him to give you everything you want; rather, you should seek to understand His will for your life. Prayer should be done with a proper attitude of humility. Jesus always prayed and served according to His Father’s will and purpose. Consider Jesus’ prayer in Gethsemane, knowing his arrest was imminent: “Abba, Father,” he said, “everything is possible for you. Take this cup from me. Yet not what I will, but what you will” (Mark 14:36). Sometimes it becomes evident that God’s answer is “No” or “Not yet.” God knows what is best for us, and it may be simply that what we are praying for is not what God wants for us at this time. Are you too distracted by life’s pressures and worldly pleasures to pray regularly? Many people in their busy, hectic lives tend to take the time to pray only when there’s a crisis. But we also need to seek His help, peace, and blessings in our everyday lives. Jesus prayed constantly, and we can all learn to faithfully pray to God always in everything that we do. When you are praying, don’t forget to tell God how much you appreciate all that He has already done for you. The Lord delights in the daily thanks, praises and petitions that turn our hearts to Him. Prayers don’t have to be long or complicated. Jesus himself said, “When praying do not choose many words” (Matthew 6:7). Neither is God impressed by long words, fancy words, or loud words. Nor does it matter whether you stand or kneel or sit. What matters is that we are focused on Him. Praying is easy to do if you think of it as a natural conversation with God – just be sincere and have a heart-to-heart talk with Him! Are you wondering why you need to bother praying if God is going to do whatever He wants to do anyway? When we pray, we aren’t informing God of anything He doesn’t know. God knows all our secret thoughts, our hidden motives, our unspoken dreams. He knows what we are going to say before we even open our mouth. And yet God calls us to pray. He invites us to pray. He commands us to pray. God doesn’t need our prayers, but prayer is good for us. Prayer teaches us to depend completely on our Heavenly Father, just like a little child asking dad for help. When we reach out to God in prayer, He is pleased and honored that we’ve expressed our confidence in Him. Prayer reminds us that in the end everything depends on God and not on us; it reminds us that He’s God and we’re not. As we consistently turn to God in prayer, our perspective begins to change so that we are centered on God rather than ourselves. Creator of the Universe, Thank You for everything. It is wonderful to exist, to be alive, to be aware of life and to know You. Thank you for food and drink and air and sleep. Thank you for those I love. Thank you for the Jewish people. Thank you for the written history showing things not readily apparent in the created world. Thank you for the universe; what magnificent detail from the smallest things known to the largest scale imaginable. There is no end to the intricacy of perfection. Thank you for telling me to tell people about you; there is hope for them or you would not have ordered me to do this. The Lord’s Prayer (aka “Our Father”) is one of the world’s best loved and most spoken prayers. Jesus actually used this model prayer as an example for his disciples on how to pray. It includes all the elements that should be included in a prayer. There are several different variations, some of which substitute the word “debts” or “sins” for “trespasses.” Most base the text on Matthew 6:9-11, rather than Luke 11:2-4, while the Catholic version typically omits the doxology at the end. Praying the Lord’s Prayer by J. I. Packer (Doctor of Philosophy, Oxford University, and student of C.S. Lewis!) is a great little book that teaches you how to meditate on the Lord’s prayer phrase by phrase, breaking it down to explain what each part means in simple terms. As readers apply the truths of this book to their prayer lives, they will strengthen their conversations with their Father in heaven and by doing so will experience better communication with God. About the Author: A homeschool dad of three young men, R.E. Olsen takes his role of spiritual head of the household seriously. He also seeks to impart God’s truth to anyone who will listen.